Moving to Maryland? Long-term resident? Looking to shave your power bills? These days solar power is an increasingly popular option for homeowners. Besides the advantage of low power costs, there are all sorts of tax breaks and other payments available from the government, the state, and the power companies — if you know the system. Here’s our handy guide for MD zipcodes. Let’s start with the biggie. How long will it take to get your installation costs back? Based on a 5kW installation size, it will take roughly eight years to pay for itself. That’s taking into account all rebates, incentives, and tax credits (below). Keep in mind that home solar is one of a handful of home improvements that pays for itself. Did you know that you can claim back 30% of the cost of your solar installation against your tax bill? If not, you need our primer on the Federal Solar Tax Credit. But remember to come back to this page for the skinny on Maryland’s local tax breaks. Putting solar panels on your roof? Maryland has a State Solar Rebate Program for home solar installations under the Clean Energy Grant initiative. Provided your yield is less than 20kW total and your panels meet basic standards, you can claim a flat $1000 grant from the state towards the cost of installation. Solar panels will always increase the value of your home (see solar home value). The rule of thumb is to figure your annual power bill savings and multiply by 20 — quite a tidy sum! In Maryland, the value added by your solar installation is legally excluded from any valuation for property tax purposes, so if you invest in panels you’ll get the full benefit when you sell up. 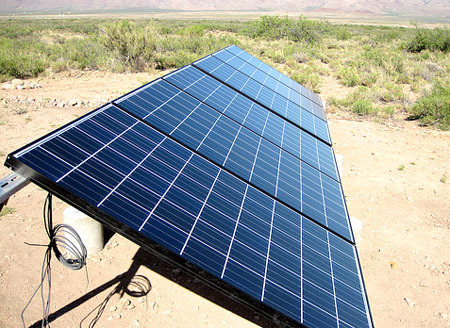 Planning on selling surplus solar power back to the grid? Maryland’s a good place to do it. The utility company is mandated to credit you at the going rate against future bills. The downside is that, if you generate a net surplus over a given one-year period, you have to grant that credit to the power company. But you still get to keep any Solar Renewable Energy Credits that you generate. Don’t know what SRECs are? Read on. Maryland’s utility companies are mandated by the state legislature to get a chunk of their power requirements from renewable sources by 2022. It’s no surprise that the power companies are keen to buy solar power from homeowners — the alternative is a hefty fine! Those power companies are big outfits and it’s hard for them to deal in the small quantities of power produced by the average home solar installation. The accepted workaround is to reckon in terms of Solar Renewable Energy Credits, or SRECs. Here’s how it works. The state credits you one SREC for every 1,000 kWh of power your system produces. A typical home installation might generate five SRECs a year. Right now they’re worth $200 each, so you can expect to make about $1,000 income each year from your system. But how will you collect the money? Well, for most people the best solution is to sell those SRECs to an outfit like SRECtrade, who will handle negotiations with the power company. Your solar company will likely take care of all the necessary paperwork — you just sit back and wait for the checks to roll in. Big installation? Look into the Clean Energy Production Tax Credit. But the CEPTC is really for 20kW systems — that’s beyond our scope. Ask your local solar installer. The best way to get information about local tax credits may be to talk to a professional in your area. They have experience filing for various tax credits and incentives, and they’d be happy to put together a custom solar quote for your home that includes all of these factors.